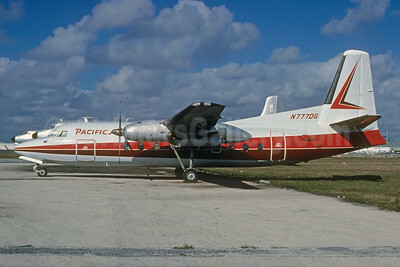 Fairchild F-27 Pictures. Photos. Framable Color Prints and Posters. Digital Sharp Images. Aviation Gifts. Slide Shows. 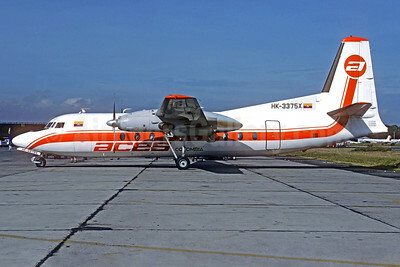 ACES Colombia Fairchild F-27F HK-3375X (msn 68) BOG (Christian Volpati). Image: 932670. 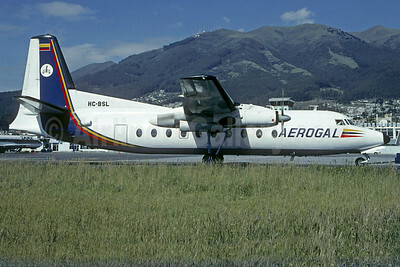 AeroGal (Aerolineas Galapagos) Fairchild F-27F HC-BSL (msn 56) UIO (Christian Volpati). Image: 923251. 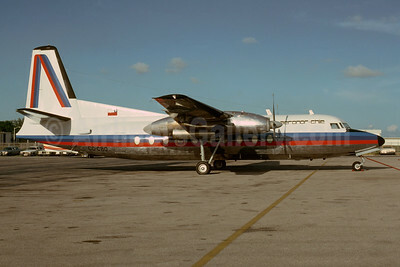 Aeronor Chile Fairchild F-27A CC-CBQ (msn 76) MIA (Bruce Drum). Image: 103549. 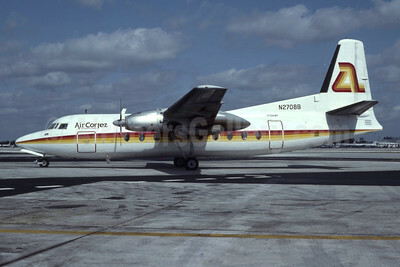 Air Cortez International Fairchild F-27J N2708B (msn 98) MIA (Bruce Drum). Image: 103576. 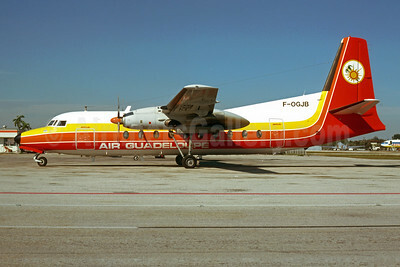 Air Guadeloupe Fairchild F-27J F-OGJB (msn 103) MIA (Bruce Drum). Image: 103591. 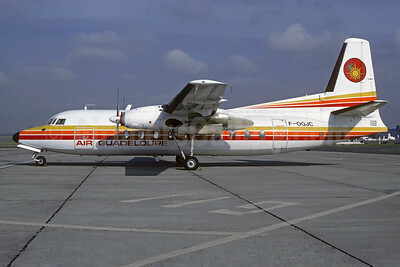 Air Guadeloupe Fairchild F-27J F-OGJC (msn 107) LBG (Christian Volpati). Image: 920076. 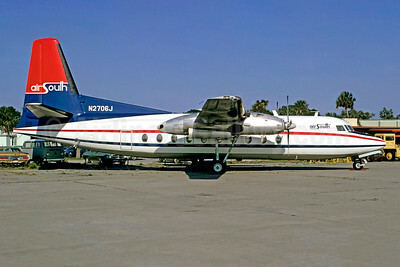 Air South (1st) Fairchild F-27J N2706J (msn 117) SSI (Bruce Drum). Image: 102507. 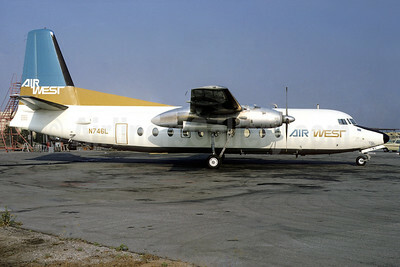 Air West (1st) Fairchild F-27A N746L (msn 37) LAX (Ted J. Gibson - Bruce Drum Collection). Image: 931881. 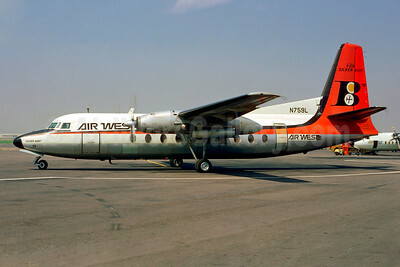 Air West (1st) Fairchild F-27A N759L (msn 108) (Bonanza colors) (Jacques Guillem Collection). Image: 931882. 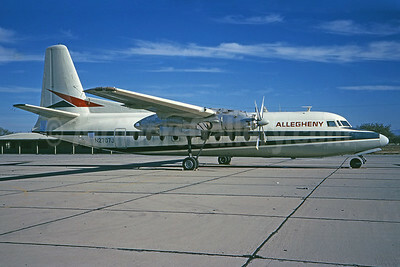 Allegheny Airlines (1st) Fairchild F-27J N2707J (msn 118) MZJ (Ted J. Gibson - Bruce Drum Collection). Image: 100919. 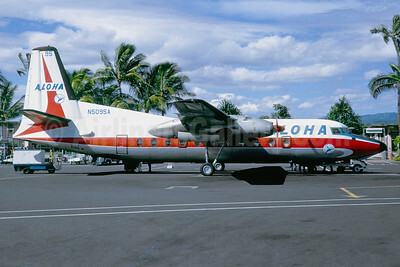 Aloha Airlines Fairchild F-27 N5095A (msn 40) HNL (Jacques Guillem Collection). Image: 937261. 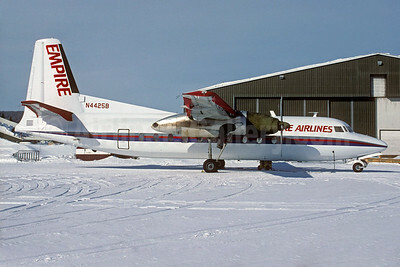 Empire Airlines (3rd) (Idaho) Fairchild F-27F N4425B (msn 80) (Christian Volpati Collection). Image: 931291. 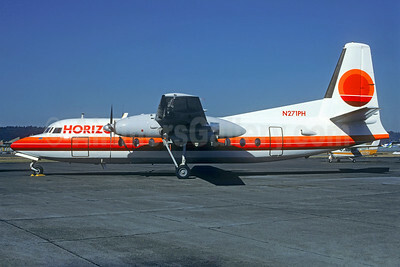 Horizon Air Fairchild F-27 N271PH (msn 14) BFI (Christian Volpati Collection). Image: 934396. 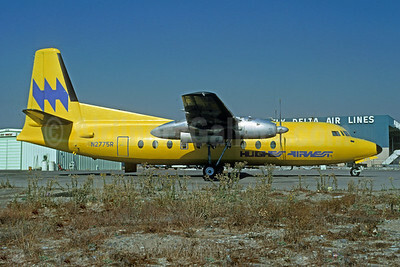 Hughes Airwest Fairchild F-27A N2775R (msn 53) LAX (Ted J. Gibson - Bruce Drum Collection). Image: 102578. 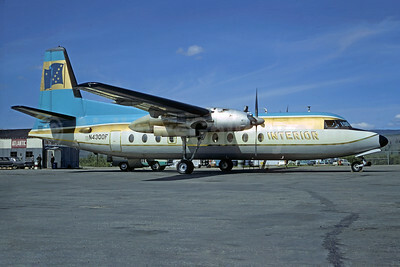 Interior Airways Fairchild F-27 N4300F (msn 58) (Wien colors) FAI (Jacques Guillem Collection). Image: 930342. 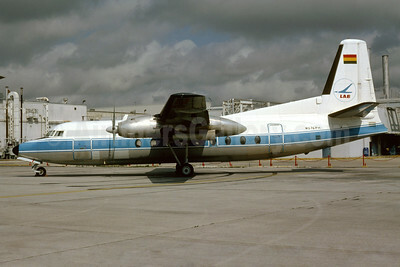 LAB (Lloyd Aereo Boliviano) Fairchild F-27M N276PH (msn 128) MIA (Bruce Drum). Image: 103949. 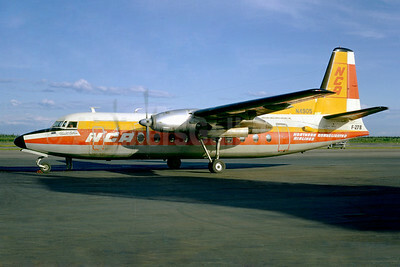 Northern Consolidated Airlines-NCA Fairchild F-27B N4905 (msn 49) (Jacques Guillem Collection). Image: 922281. 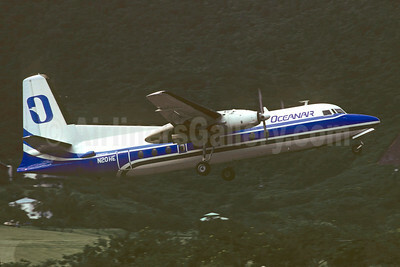 Oceanair (USA) Fairchild F-27F N20HE (msn 45) (Christian Volpati Collection). Image: 906975. 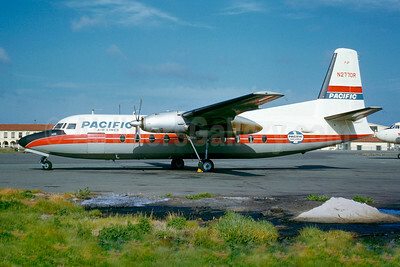 Pacific Air Lines Fairchild F-27A N2770R (msn 36) SFO (Jacques Guillem Collection). Image: 922715. Pacific Alaska Airlines Fairchiled F-27 N777DG (msn 13) MIA (Bruce Drum). Image: 103303. 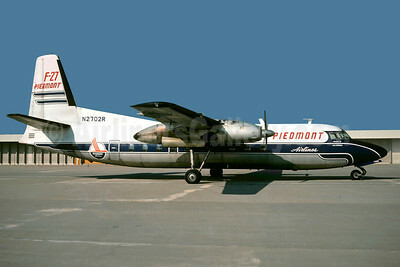 Piedmont Airlines (1st) Fairchild F-27 N2702R (msn 9) (Christian Volpati Collection). Image: 907580. 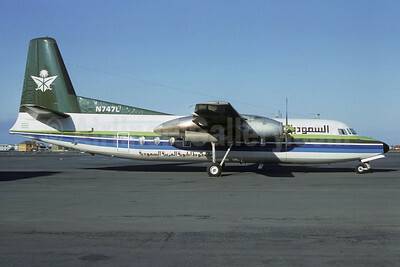 Saudia (Saudi Arabian Airlines) Fairchild F-27F N747L (msn 38) REK (Jacques Guillem Collection). Image: 907633. 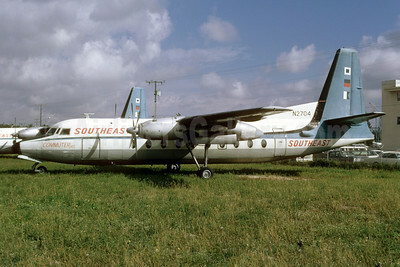 Southeast Airlines (2nd) Fairchild F-27 N2704 (msn 7) MIA (Bruce Drum). Image: 103142. 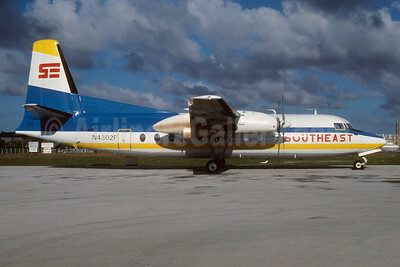 Southeast Airlines (2nd) Fairchild F-27 N4302F (msn 60) MIA (Bruce Drum). Image: 103149.